For today's Tuesday Tidbits, we have the lovely Charmaine of Rustic Folk Weddings sharing some fab inspiration on planning a unique rustic wedding! Whether you're getting married in Suffolk or Yorktown, there are beautifully trendy things you can do to make your wedding day completely unique! And since Charmaine sees rustic all the time, I couldn't be more thrilled to have her share her insight with Hampton Roads today! I couldn't be more excited to be guest posting for Chelsea on her beautiful wedding blog that I simply can't get enough of. Today, I wanted to share something special with a rustic twist to all of her readers, and that's a few insightful tips on how to plan a unique rustic wedding. As many of you may know, rustic weddings became one of the hottest wedding trends in 2013, and with the premiere of the widely popular movie The Great Gatsby, there's the idea of classic rustic sophistication being a big trend in 2014. Last year, many brides showcased a wide array of natural rustic aesthetics that incorporated gorgeous vintage and old fashioned themes into their wedding, in addition to featuring spectacular DIY details. You may have noticed the bold statement cakes like the naked wedding cake sweeping across weddings or whimsical forest centerpieces adorned with mason jars and lace to recreate an elegant natural setting. While a variety of these themes mentioned above aren't new, they continue to find favor among a variety of brides. Despite this, I'm sure brides and grooms will continue to plan vintage rustic weddings as new trends continue to be seen in weddings. 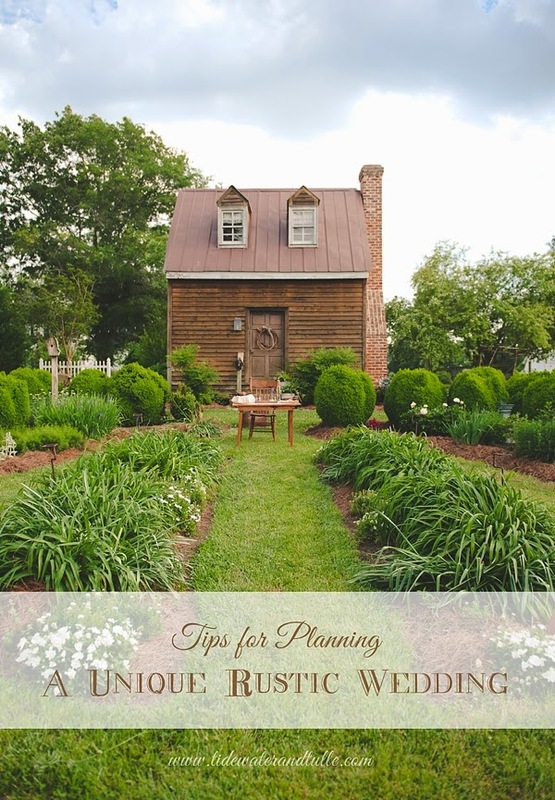 As a bride in the process of planning a rustic wedding, many of you know that planning any wedding regardless of what theme you choose can be challenging. In addition, finding ways to incorporate your theme and inspiration in a unique way to reflect who you are as a couple can be even more difficult. So here are some of my insights on ways to plan a unique rustic wedding that incorporates creativity and aspects of what makes you special. Many of the thoughts depicted below can be applied to all weddings regardless of what theme you choose. There are plenty of rustic wedding resources online to help you find inspiration while planning your wedding like Pinterest or even a simple Google search. In addition to my blog Rustic Folk Weddings, go to sources like Rustic Wedding Chic, Green Wedding Shoes, or Boho Weddings to name a few. Do you love traditional rustic wedding decor ideas such as burlap aisle runners, wooden centerpieces adorned with blush garden flowers? Or are you looking to incorporate bursts of color throughout your soiree like this bold red, green, and yellow woodland wedding? Discovering particular designs or ideas you love is essential to planning a wedding. First determine what season your wedding is set in Autumn, Winter, Spring, or Summer then choose a color palette that incorporates colors you enjoy. Rustic color palettes I'm currently loving are this matte gold, autumn sun, and spanish moss color scheme and this berry and teal palette. With any wedding theme, it can be hard to set yourself apart and design a wedding that looks different from the rest. If you are in love with the popular rustic wedding trend of baby's breath, one unique way to incorporate this throughout is with your bridesmaids' bouquets. Matching your color palette, use a different favorite flower (each chosen by your bridesmaids) to pair with the baby's breath. I think one of the ways a wedding is special is through the personal elements incorporated throughout the big day. If you and your fiancée first met at a restaurant, incorporate wedding favors or a menu to reflect that. Tasty treats such as macaroni and cheese, homemade biscuits, and moonshine cocktails can bring endless creative possibilities for a rustic theme. Who doesn't love accessories? I know I do. Fun wedding accessories (or activities) that make for a perfect unique wedding are photo booths or polaroid cameras. Incorporating a photobooth to look back on is a great way to just let loose try on crazy accessories and create memories. To pull in rustic touches, think of tree stump signs or woodland creature masks for props. 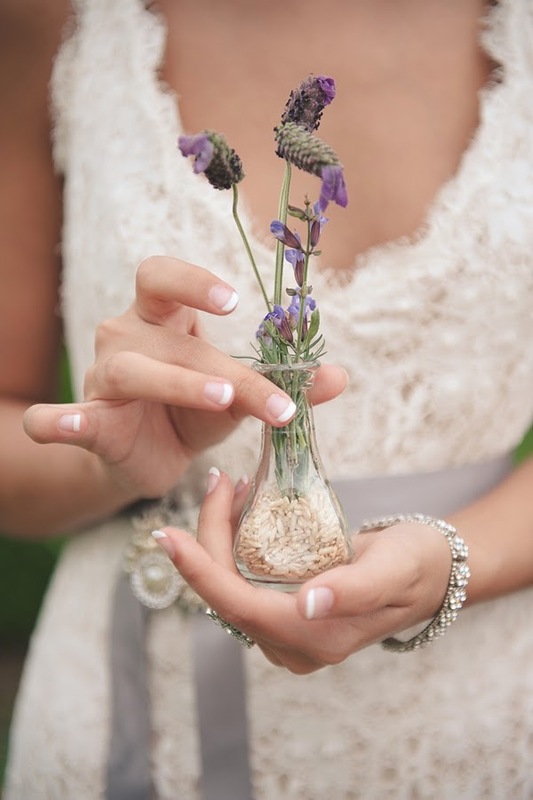 One of most important tips to create a unique rustic wedding is simply being yourself. Don't try to plan a wedding you think others want but one you'll enjoy with people you love and remember for the years to come. I hope you all enjoyed today's post and remember planning a wedding is such an incredible special time in your life! Try not to stress about the details and enjoy the ride. 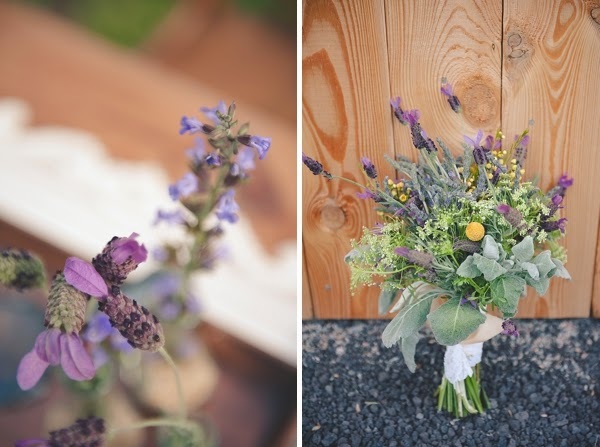 Want to get to know Charmaine and Rustic Folk Weddings more? You can find her on Facebook, Google+, Pinterest, and Twitter.